We’ve all read the news. Or more likely, we’ve heard the chatter about the various entertainment venues that are coming or coming back to Uptown. The largest of these, both physically and metaphorically, is the 4,381-seat Uptown Theatre, which is receiving a $75 million face-lift, through public and private investment. After 38 years, this is no longer a rumor, and its impact on the music scene in Uptown has already been felt. The owner of the famed Green Mill Lounge is opening Della Robbia, a restaurant/bar/venue next door that will play jazz, blues, and swing. Other legendary Chicago entertainment venues are relocating to Uptown as well. After 50 years in River North, drag venue Baton Show Lounge is coming to Uptown in 2019, possibly as early as spring. Additionally, Timeline Theater announced it is relocating to Uptown as well, anchoring the northern edge of the Entertainment District. And of course, the latest newcomer, rock and roll club and former Wicker Park staple, Double Door is reopening its doors at 1050 W Wilson this fall. 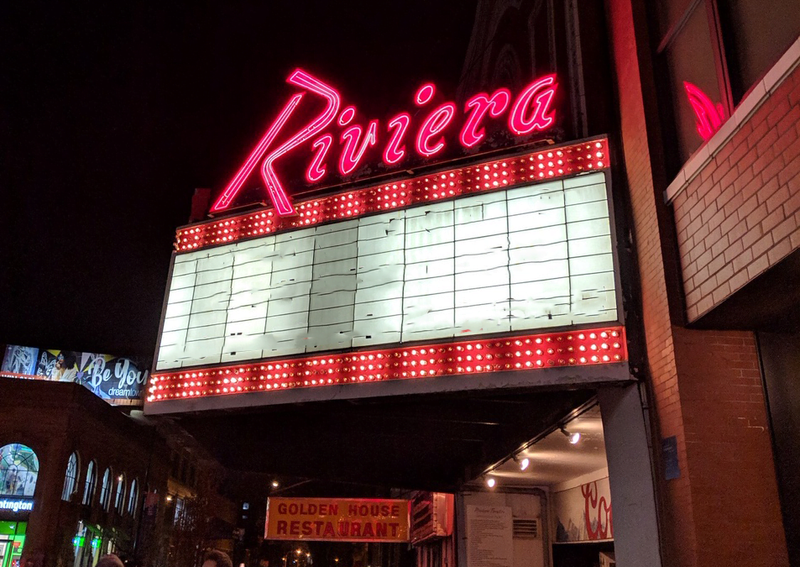 These venues, along with the existing venues (Riviera, Aragon Ballroom, Green Mill, to name a few) have created quite a buzz in the entertainment world. While I am as far from an avid concert goer as one can be, these music venues bring more excitement than just live shows. The excitement comes from the impact the venues are already having on the community. People are talking about Uptown, positively! This chatter is also exciting for apartment building values and landlords. Many Chicago neighborhoods have experienced a plateauing rental market in the past year; however, the city as a whole has experienced a 4.8% rent increase in the past year, according to Rent Cafe. This is in part due to the strength of neighborhoods like Uptown, which continues to see a rise in rents on a chunk rent and per square foot basis. Uptown is seeing an increase in demand for apartments, and these venues may be a key rent driver. A Safer Neighborhood – An increase in the amount of foot traffic in this neighborhood will help make Uptown a safer place. These venues will have their own security and the City is likely to add additional support to the neighborhood once all the venues are up and running. Neighborhood Amenities – With all of these venues, it isn’t a stretch of the imagination to believe that restaurants will follow in hopes of getting dinner guests before they see a show. While current Uptown residents may be happy with their already culturally diverse dining options, those that have never considered the neighborhood could be enticed by new amenities from restaurants to music venues. Higher Rents – a vibrant social scene leads to more demand to live in the area, which results in significant rent growth. In my opinion, Uptown is about to become the next most talked about neighborhood. There is more than meets the eye with the entertainment renaissance in Uptown. New entertainment developments will aid Uptown to be a safer, more amenitized neighborhood which will continue to positively impact the multifamily market.